Those who surrender to retirement. In this article, I will address each group in turn. I can feel you rebelling against, at least, the first of these groups, but ask that we first examine each group, in turn? There are any number of reasons for people retiring as it simply marks the end of one step and the beginning of the next. This can mean a change in Job or even job description but it also applies to each of us when we stop working at a job and start creating employment for others. Those who retire, in this group, are often from the Sport Industry or a victim of violence either from the Security Services or traffic accidents. For each of these groupings the effect on the person retiring is different. Today sport has become a major business, contributing billions to the national GDP. The majority of people involved in professional sport are players and they normally are between the ages of 20 and 40, depending on the particular sport they play. In all sports there is some danger of injury and, especially in the contact sports, the likelihood of premature retirement after injury is always in the mind of the players. Injuries that make players stop playing, force them into retirement. These retirees, irrespective of the reason they have retired, are still of an age (in years) where they can “start anew” and build a career in another activity they choose. Should they need training to properly understand the new career path, they are young enough to be able to include this in their planning and make extensive use of it in their chosen, new field. As a result, while retirement may be painful (both physically and emotionally) for those from this group, the chance of them beating the challenge is very high. The emotional effect will be short term and soon replaced by excitement when meeting new challenges. Another career path, in which the potential for retirement at a young age is always possible, is in the “military”. Those who choose to serve in the “Forces” are always acutely aware of the possibility that their choice of career could be suddenly ended. There is another aspect that is relevant in this case. Often, the person forced into retirement carries with them an associated injury which restricts their choice of new career. With the continual advances in medical science and the ever-changing range of choice that continues to offer training and opportunities that life is always offering it generally means that such people can still contribute to society. The long term “hangovers” from both the Vietnam and Gulf conflicts, have been both well documented and researched and found to be profound. For example, those who served in the Vietnam conflict were rejected by their society. The emotional effect of such behaviour left this group scarred and damaged for the remainder of their lives. Thankfully, the same situation does not apply everywhere. This is the “normal” retirement age today, although there is a move to extend the working life to 70. People end their schooling at approximately 18 years of age and most of the population then start work. They spend the next 40 – 50 years as part of the Workforce and then move into retirement. Persons in this group who are forced into retirement are most often retrenched. The effect of retirement on their financial security is often severe which means they are forced to either find a new job or start working for themselves. For employees, this is a daunting situation. The banks are becoming less reluctant to assist new business owners from this age grouping because research indicates that the chance of such people succeeding is greater than that of their younger counterparts. I have included this topic because, irrespective of when it occurs, the effect is both horrific and can easily become terminal. In almost every industry, the fear of retrenchment, is ever present and, often, overpowering. This is the final example of “Forced Retirement” and the one that has the greatest potential to damage its victims. In our book, “The Next Step: Planning the Road Through Retirement”, the subject of retrenchment is covered in detail. I will not repeat what is included there (see Part 1 Chapter 3 pp 50-60). In summary, retrenchment generates many different, and often competing, emotions. How we handle and use these emotions can determine, to a great extent, how we break out and grow from this horrific experience. In the final analysis, the end result of being forced into retirement is in your hands and will be as successful as you, the victim, chooses to make it. By using positivity and good planning, the experience should be both beneficial and positive. Many successful businessmen, or entrepreneurs, set themselves a target date, or age, by which they wish to be in a position to retire (or start pursuing other opportunities). They often go on to achieve their objective and enjoy their retirement, which is most often referred to as a “change in direction”. In my experience, this situation has never arisen from chance. Those who win big on the Lotteries, generally seem to have a short period of increased spending which eventually brings them full circle to a point very similar to that from which they started. In all cases that I know of, the “finite working life” situation is achieved through good planning, clear direction and the willingness to persevere, all laced with a dose of good luck. “Success breeds Success” is a well-known and much quoted mantra simply because it is true. I think most of us have realised that each success boosts confidence which encourages the newly confident person to take a further, calculated risk. This, with luck, becomes further success and the cycle starts to repeat itself. The problem with this scenario is that, too often, confidence often becomes over-confidence which leads to error and then failure. 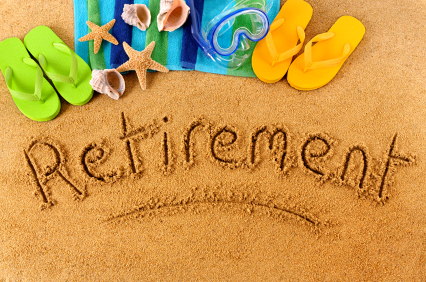 Planning life to include retirement is totally positive. Very seldom does it imply a life of leisure without end. Those who plan enjoy the “journey” and the things they achieve. They get pleasure from their exploits and even greater satisfaction from their inputs. Doing nothing normally generates nothing, which is a “no-no” to such people. In this article, I have looked at retirement, both forced and voluntary, as it affects the lives of those in their youth and those who reach the traditional “age of retirement”. I have tried to cover how the event affects those involved and offer guidance on how they can overcome the negative aspect. As with any other part of life not part of retirement is either total good or totally bad, the interpretation depends on the attitude and personality of the person involved. I hope that you will view retirement for what it really is – a new step in your journey and one with its own particular challenges and advantages. You have been training for this stage all your life so just enjoy the process and take one step at a time.